The Nuptse Evo Semi Auto Crampon offers great value for money, for an all-round 12-point crampon ideal for use on glacier terrain and all types of mountaineering. The two front points give you a better lift on harder snow and for climbing hills, while the four orthogonal retaining points offer greater stability and safety while descending. 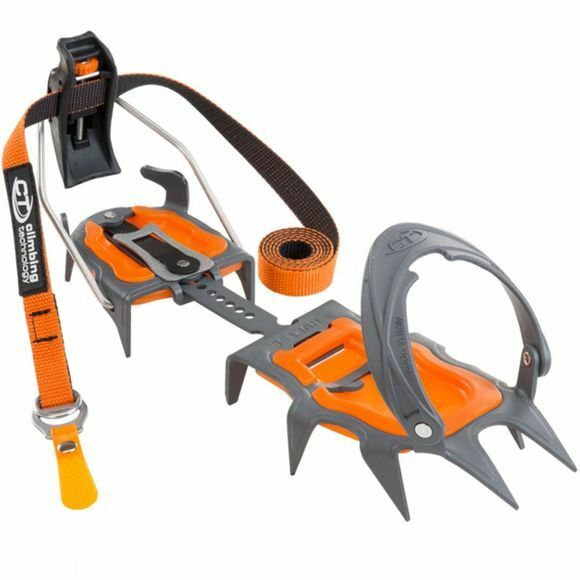 An anti-balling system is already included with the crampon, so no more stopping to clear the snow out of them. This crampon is easy to fit and adjust - a double lever system means you can alter the size with one hand while an innovative macro-setting system quickly switches the sizing range from EU 36-43 to EU 42-47. This semi-automatic model offers a quick fit heel clip.